Advocate P.N. Ravindran (while he was a judge in the High Court of Kerala), was a member of the interview board which had interviewed writ petitioners. It is also learnt that he was also part of the administrative committee which had taken the decision to exclude writ petitioners. The highly contested case of selection of judges to the Kerala Higher Judicial service was considered by the Supreme Court on Monday. The bench comprising Chief Justice Dipak Misra, Justice A M Khanwilkar and Justice D Y Chandrachud ordered that “selection made during the pendency of the petition will be subject to the final result of the petition”. The issue before the court is whether the selection committee of High Court could have fixed a cut-off mark for an interview when such condition was absent in the original notification and Rules. The writ petitioners in Supreme Court are the candidates who were excluded from the rank list for failing to meet the cut-off mark prescribed for interview. They contended that the selection committee of the High Court fixed a cut off mark for the interview contrary to contrary to the Kerala Higher Judicial Service rules, which amounted to "changing the rules of the game after its start". The petitioners were not placed in the rank list on the basis that they had not scored cut off marks fixed for an interview, though they had scored higher marks than the selected candidates. As per the Rules and the notification for selection, the selection was based on aggregate marks of written test and interview, and the condition of securing minimum cut-off mark in the interview was absent there. During March 2013, the matter regarding legality of the practice of prescribing minimum marks for viva voce in district judges’ selection after the written examination is over was referred to Constitution Bench by a three judges' bench in Tej Prakash Pathak v. Rajasthan High Court. In October 2016, a bench of Justice Shiva Kirti Singh and Justice R Banumathi delivered split verdict in the matter of challenge against prescribing minimum marks for viva voce conducted by the High Court of Manipur for direct recruitment of District Judges, in the case Salam Samarjeet Singh v. High Court of Manipur. When this matter came before a three judges bench, it noticed that the issue was under reference to Constitution Bench as per order in Tej Prakash and hence referred the Salam Samarjeet Singh also to Constitution Bench. Now,t he High Court of Kerala has issued a fresh notification inviting candidates for direct recruitment to the post of district judges. In that backdrop, the writ petitioners sought an interim order from the Supreme Court.A ccording to the writ petitioners, the vacancies meant for writ petitioners are also included in the fresh notification. 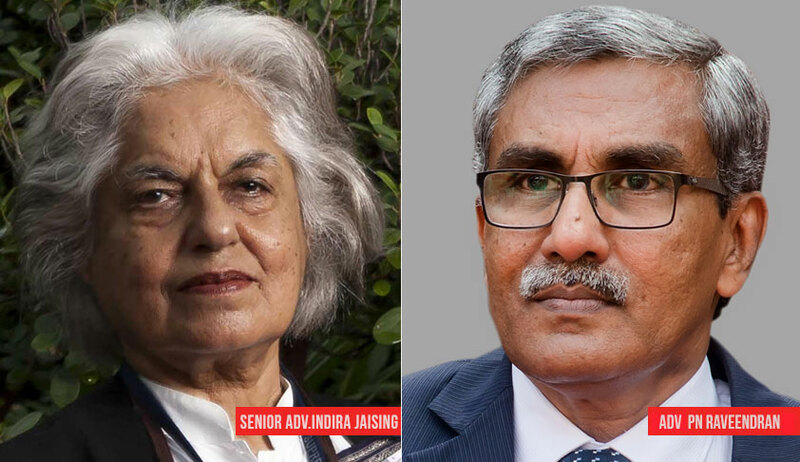 After hearing Senior Advocate Indra Jaising, who appeared for petitioners , the court has passed an order making the fresh selection subject to the result of the writ petition. The writ petitions are likely to be heard by a constitution bench very soon. Today, the High Court of Kerala was represented by Retired Justice P.N. Ravindran, who had retired from High Court during May 2018. Advocate P.N. Ravindran (while he was a judge in the High Court of Kerala), was a member of the interview board which had interviewed writ petitioners. It is also learnt that he was also part of the administrative committee which had taken the decision to exclude writ petitioners.